Memorial Day celebrations in Nashville can be rather limited compared to most other U.S. Cities as Nashvillians tend to spend their day with their families and honoring those who have fallen. But don't fret because there is always a great celebration or two to be found for those wanting to celebrate the day, and we've listed our top picks on how to celebrate this Memorial Day in Middle Tennessee, have fun with family and friends, and honor the memories of those who dedicated their lives to our country. Take a look at a sampling of some of the great happenings over the weekend in Music City. From family fun at the water park to a night on the town at live music clubs, there's something for everyone in the family. 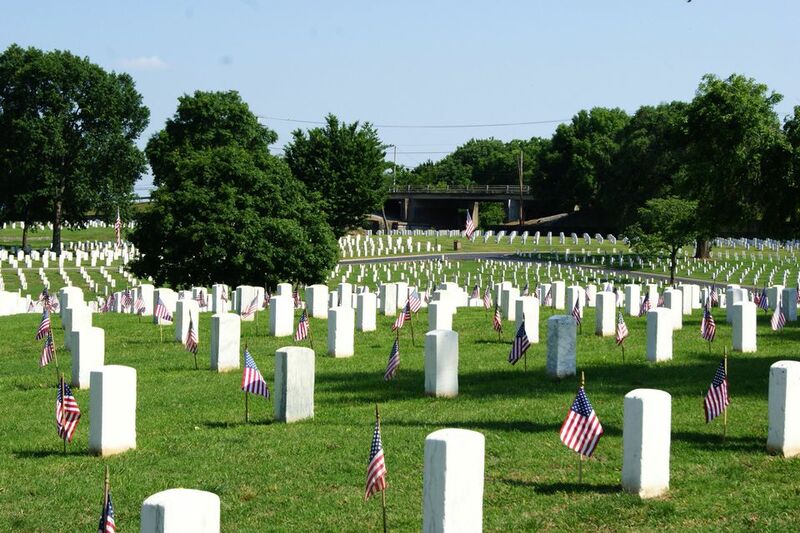 Normally held on the Saturday before Memorial Day from 11-noon, Fort Negley Park hosts a Memorial Day weekend observance to honor all serving members of the U.S. Armed Forces and to commemorate those who gave the final devotion to their country. The observance will also normally honor those who perished building and defending the fortifications of Nashville during the Civil War including Fort Negley. The event is almost always free and open to the public. This Memorial Day, spend time with true American Heroes. Tour Ft. Campbell Army Base and the Pratt Military Museum. See war relics, monuments, and air-crafts from our nation's historic battles from WWI through Operation Iraqi Freedom. Visit the Ft. Defiance Interpretive Center that provides insight into Clarksville's involvement in the Civil War. Many of Nashville's Cemeteries are decorated with thousands of American Flags by local Boy Scout Troops. It is an awesome sight to behold and a great way to honor and pay tribute to our fallen veterans. Several participating cemeteries include Stones River National Cemetery, Middle Tennessee State Veterans Cemetery, and the Nashville National Cemetery. Please call ahead to your local cemetery to confirm flag placement or if your Boy Scout Troop would like to help with flag placements. Visitors to Stones River National Battlefield are invited to gather at the national cemetery to remember the sacrifices of soldiers, past and present. The event, normally held on Sunday, includes patriotic music, a wreath laying ceremony, and a reading of the names of veterans who have passed away since last Memorial Day. If you go the day before you can also watch as local Middle Tennessee Scouting organizations honor our fallen heroes by placing American flags on more than 7,000 graves. Read about the weekend's events at their Memorial Day page. Take your family on a picnic in one of numerous Nashville's Parks or even one of the Tennessee State Parks for a day of outdoor family fun and celebration. The weather is great this time of year and some of the state parks are even hosting special events that include boat rides, nature hikes, hayrides, musical entertainment, and tons more family activities and fun. Check with your local State Park for more events and information. Dale Wayrynen Community Recreation Center, known as the home away from home for many Fort Campbell soldiers and their families, normally host their Memorial Day Weekend Cookout on Sunday. Activities will usually include water inflatables, horseshoes, and volleyball followed by a cookout that will include hamburgers, hot-dogs, baked beans, potato salad, drinks, and desserts. For Military Members Only. While most of the local Metro Swimming Pools won't be open for another week or two, there are several water parks set to open up on Memorial Weekend and they include Wave Country, Nashville Shores, and Tie Breaker. While the Annual Renaissance Festival really has nothing at all to do with Memorial Day, it takes place every weekend in May including Memorial Day. Visitors will experience period entertainment and music at the Renaissance Festival, located in Triune with activities that include visiting Castle Gywnn, meeting costumed characters, watching mounted armored knights jousting, and more. Military personnel normally get a special discount on their Memorial Day admission prices.